Dottie, post milking and returned to the pasture. 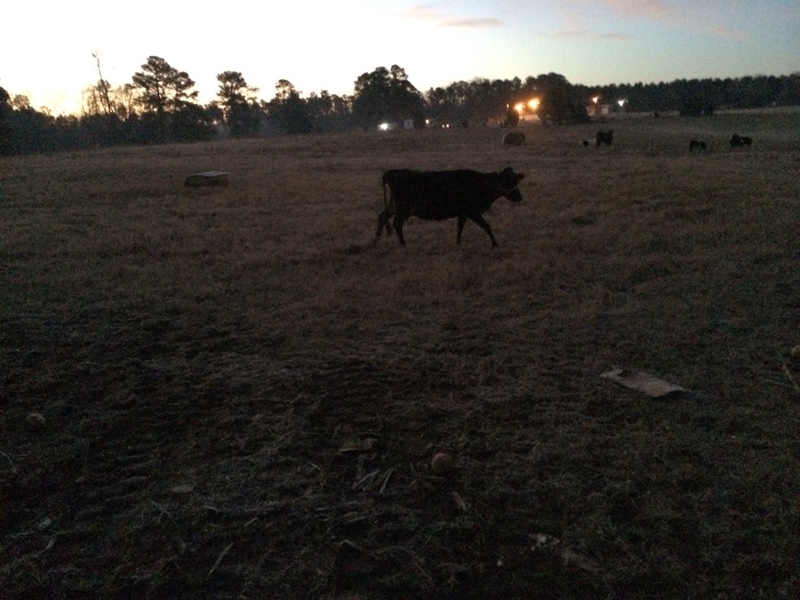 The black cow in the black of pre-dawn is challenging for a picture. This was the best of the lot. Dottie was fantastic again today, meeting is in the pasture ready to milk and allowing herself to be halter led from pasture a all the way to the milking stanchion. She still balks at entering the stanchion but that will pass quickly as she learns it’s where the food and milking happen. We got about 2 gallons of milk this morning so all in all things are progressing very nicely. The inmates were both here this morning and are moving the cows to a new paddock and setting up the weeks paddocks. We still have a lot of logging to do and hopefully we will get some extra time this week to get a few more trees ready to send to the mill. 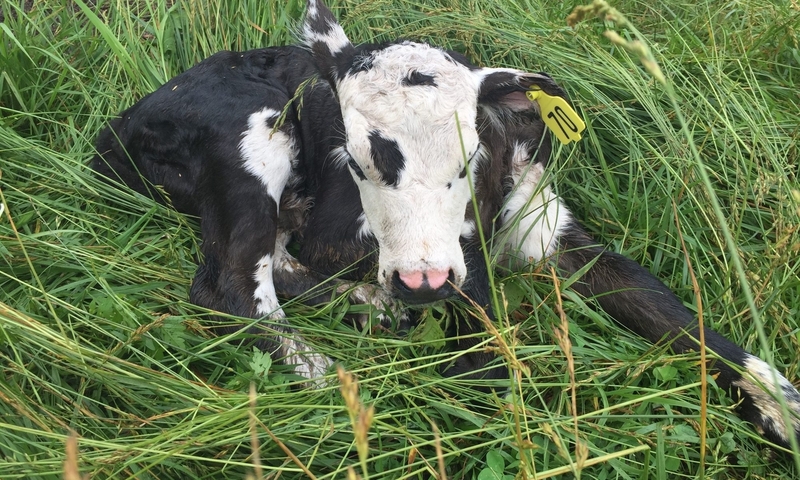 Previous PostPrevious Milking, day 2. And a new name.